If you have been told that you will benefit from wearing hearing aids, you need to find the right devices for your level of hearing loss and lifestyle. If you've never used hearing aids before, you're probably not particularly familiar with the range of styles offered. While there are a number of different choices, the main three styles are behind-the-ear (BTE), in-the-ear (ITE) and in-the-canal (ITC) hearing aids. Other styles are generally variations on these three choices, offering different sizes and functions. 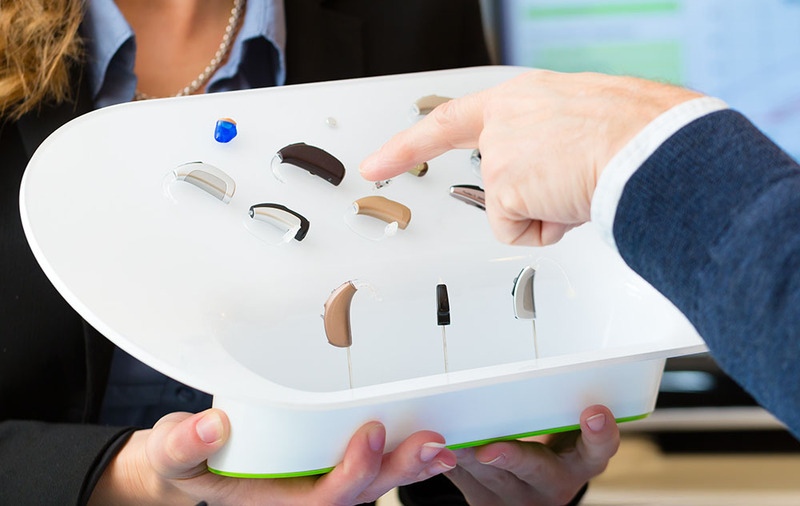 When you're searching for the right hearing aids, understanding the basics of your main options will help you get started with making a choice. BTE hearing aids are one of the types of hearing aids that are probably most recognizable. A BTE hearing aid is designed so that the main part of the hearing aid sits behind your ear. It hooks over the ear to keep it in place and attaches to a custom-made earmold. While you might think of BTE hearing aids as large and very noticeable, today's modern options are more discreet than ever. BTE hearing aids are very versatile, being suitable for all types of hearing loss. Some of the variations on BTE hearing aids include smaller "mini BTE" hearing aids, as well as a receiver-in-canal (RIC), which has a portion that sits behind the ear but the receiver sits inside the ear canal. ITE hearing aids feature the main portion of the hearing aid sitting inside the ear, instead of behind it. These are customized to fit the wearer's ear and can come in various color options. Many users select a color that is close to their skin tone to help make the hearing aid appear more discreet. The hearing aid sits in the outer part of the ear, rather than being inserted into the canal. One of the benefits of an ITE hearing aid is that it's easy to handle, with simple controls, which can make it easier to use for people who have problems with dexterity. They're easy to handle, including putting them in and taking them out. Because these hearing aids are custom made, they should provide the perfect fit. ITC hearing aids sit further into the ear, compared to ITE hearing aids. This style is even more discreet, offering more privacy due to the size. One variation on ITC hearing aids is the completely-in-canal (CIC) device, which is even more discreet, fitting further into the ear canal. ITC hearing aids are again tailored to fit the wearer's ear and can be chosen in a number of color options. Although they are smaller than ITE hearing aids, they're still easy to handle and can fit plenty of power inside them. Talk to your audiologist about finding the best hearing aids to suit your needs. They can show you your options and help you to make the right choice.